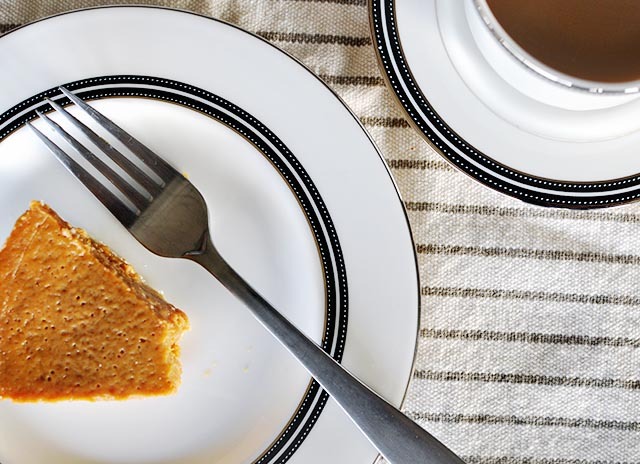 The Short and the Sweet of It: Crust-less Dairy-Free Pumpkin Pie. Oh My! 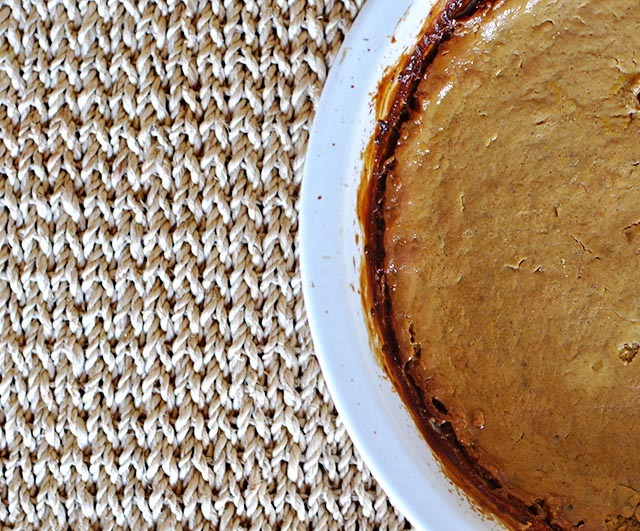 Crust-less Dairy-Free Pumpkin Pie. Oh My! Is there nothing better than the smell of pumpkin pie wafting through your house on a cool November afternoon? No, there is not. Such was the situation a few days ago as I was baking up a storm for our annual Friendsgiving over the weekend. But the pie. The pumpkin pie could not have gluten or dairy. And I was fretting. I've had the gluten free pie crusts (not impressed), and I didn't have the time to whip up a pressed pecan and coconut oil crust myself, so I decided to take the gamble and go crust-less. I mean the filling is the best part, right? But still there was the no dairy. I'm not a huge fan of soy, and almond milk seemed much to thin. Then suddenly it was like a coconut dropped on my head and jogged my memory. Coconut creamer. It's pretty thick, creamy and it's tasty in coffee, why not in pumpkin? So here you have it. Pumpkin pie with neither crust nor dairy, and yet it still is remarkably delicious. This looks delicious. I'm going to have to give it a try. This looks so good! I've been looking for good gf desserts for Thanksgiving (not impressed with gf crusts either) so I'll definitely be pinning this one!